Among all of the tape-delayed glory now that it’s the “offseason,” the one live event for the weekend is FIA Formula E Championship. And among the dudes (and a lady) duking it out in electric cars, ABT Schaeffler Audi Sport driver Lucas di Grassi currently leads the standings. 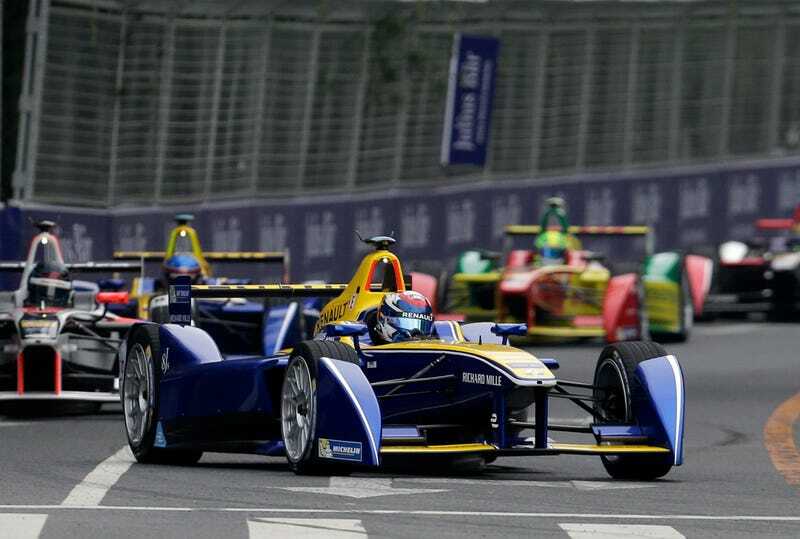 Formula E is only on its third race of the season, heading down to Punta del Este, Uruguay this weekend. If you don’t have access to Fox Sports 2 with your television package, the electric racing series also live streams events online here. And though Formula E just started its season, it already made a pretty big announcement for next year—the series intends to create a driverless electric support series to for the 2016-2017 season, and it’ll be interesting to see how that plays out from a spectator standpoint. As for the tape-delayed stuff, there’s the usual prescription of the Lucas Oil Off-Road Racing Series, FIA World Rally Championship and Pro Motocross Championship events, as well as some Speed Energy Stadium Super Trucks racing—the purest form of entertainment around. We’ve included a couple of non-traditional motorsports showings—the FIA World Endurance Championship highlights show and the Supercross preview show—since the schedule is a bit lighter this weekend. If you’ve never watched one (or both) of them, it’s a chance to broaden your horizons. Check that out. As always, feel free to share any live streams you know of going on this weekend. We all know that we could use them.